Philip Mansel is a historian of France and the Ottoman Empire, courts and monarchs. He was born in London in 1951 and educated at Eton College, where he was a King’s Scholar, and at Balliol College, Oxford, where he read Modern History and Modern Languages. Following four years’ research into the French court of the period 1814-1830, he was awarded his doctorate at University College, London in 1978. His first book, Louis XVIII, was published in 1981 and this - together with subsequent works such as Paris Between Empires 1814-1852 (2001) - established him on both sides of the Channel as an authority on the later French monarchy. Six of his books have been translated into French. He has contributed reviews and articles to the International Herald Tribune, The Spectator, The Guardian, English Historical Review, Cornucopia and The Times Literary Supplement. In 2012 he was given the London Library Life in Literature award. He has lived in Istanbul, Beirut and Paris. 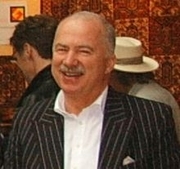 Philip Mansel is currently considered a "single author." If one or more works are by a distinct, homonymous authors, go ahead and split the author. Philip Mansel is composed of 4 names. You can examine and separate out names.